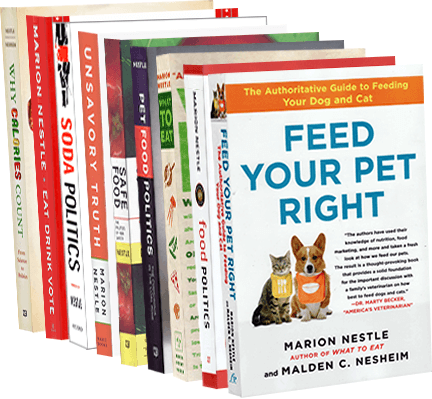 Food Politics by Marion Nestle » At long last menu labeling, and worth the wait! At long last menu labeling, and worth the wait! The FDA released its long-awaited regulations on menu labeling at 12:01 this morning. The only exceptions: foods from grocery stores or delis that require additional preparation such as deli meats, cheeses, or large deli salads. When the FDA first proposed the regs in April 2011, it excluded movie theaters and other places whose primary purpose is not to sell food. The pizza lobby (yes, there is such a thing–remember “pizza is a vegetable” in school lunches?) fought to be excluded. The National Grocers Association and other retailers who sell prepared foods fought for exclusion. Rumors were that the White House wanted weaker regulations. Center for Science in the Interest (CSPI), which has led the menu labeling efforts, is understandably pleased. Congratulations! We joined forces with more than 70 public health and stakeholder groups to advocate for a federal nutrition standard so that anyone dining out can have clear, easy-to-use nutrition information at the point of ordering – information that is presented in the same way, no matter what part of the country. From Portland, Oregon to Portland, Maine, diners in restaurants will have a new tool to help them make choices that are right for them. Really? Lots of people eat at grocery stores these days (think: Whole Foods). The Washington Post reports that the Food Marketing Institute is also disappointed. I’m not. Calorie labeling is an excellent tool for public education. The regs won’t go into effect for another year or two. In the meantime, congratulations to the FDA for putting public health first.